Watford Holdings Ltd., the parent company to Arch Capital and Highbridge Principal Strategies backed investment oriented or total-return style reinsurance firm Watford Re, successfully completed its initial public offering (IPO) on the Nasdaq. Watford Re is a valuable component of Bermudian insurance and reinsurance firm Arch Capital’s strategy to embrace third-party capital, bringing additional efficiency and income to the firms overall operations. Backed by third-party, largely institutional investors, Watford Re follows a total-return or hedge fund like strategy. It underwrites mid to longer-tailed, largely casualty reinsurance business with the assistance of the Arch Capital platform, while asset manager Highbridge Principal Strategies invests the reinsurers long-term assets in strategies aiming to achieve a higher return than a typical re/insurer would normally seek. Up to 3.6 million shares of existing investors in Watford Holdings were up for sale in the IPO, a process that succeeded for the company as its common shares began trading yesterday on the Nasdaq Global Select Market under the symbol “WTRE”. However, Watford Re had a book value of around $39.22 at the end of 2018, despite falling to a loss for the year of almost $55 million. But after the IPO its shares began trading on the Nasdaq at just $25.26, a roughly 36% discount to book value. By the end of the day the shares had added almost 7% to close at $27 by the end of yesterday. Getting listed was likely the main concern though, rather than the price, as having access to the capital markets and an opportunity to cash out for launch investors were perhaps the main reasons for seeking the listing in the first place. CEO of Watford John Rathgeber said that, “This is an important milestone in the evolution of Watford. Watford Re can now take advantage of its access to the capital markets in secondary offerings to finance growth, likely when it sees underwriting market conditions as conducive to seeking expansion. Arch Re was listed as the owner of 14.7% of Watford Re’s shares in its prospectus for the IPO. 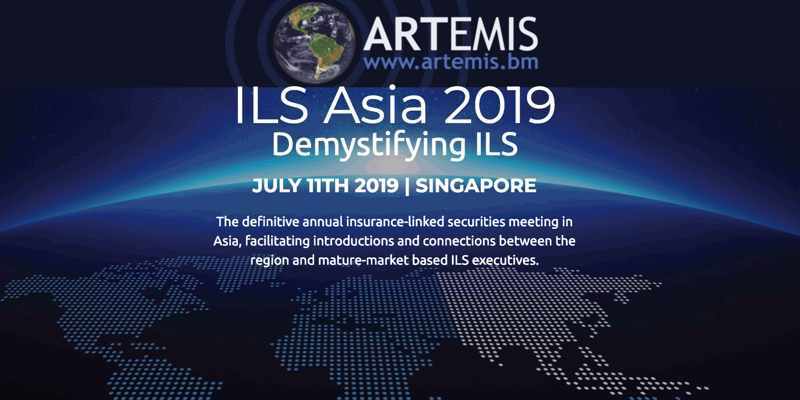 It’s not clear at this time whether the reinsurance firm took the opportunity to sell down any of its shares in the total-return reinsurer, but it seems unlikely given the strategic nature of the underwriting relationship between the pair is destined to continue. The total-return, or investment oriented, reinsurer strategy has worked well so far for Watford Re and Arch, with the vehicle’s size and portfolio of risk growing with each quarter into a meaningful contributor to Arch earnings, when investment and underwriting performance align at least. Watford Re now has more than $3.5 billion of total assets and almost $3 billion that are investable, meaning that when the Highbridge investment strategy performs it can deliver high investment returns. When the underwriting also performs it could offer its new investors a very attractive total-return as a result. The goal with the total-return reinsurers was to outperform the broader reinsurance market, largely due to the investment return, while the underwriting targets a lower profit, but is designed to accumulate the long-term assets that the alternative investment manager backing the vehicle (Highbridge) looks for. As a result, the benefits for Arch Capital Group will continue to flow.